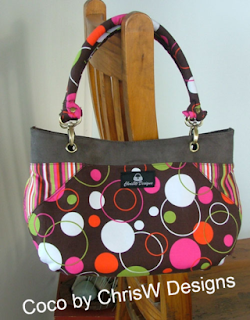 Chris W Designs is sharing her bag pattern called Coco. Thanks for sharing Chris. Another great way to use up those scraps and to get a different effect to the stringy block quilts. Fabric Therapy shows what she does.